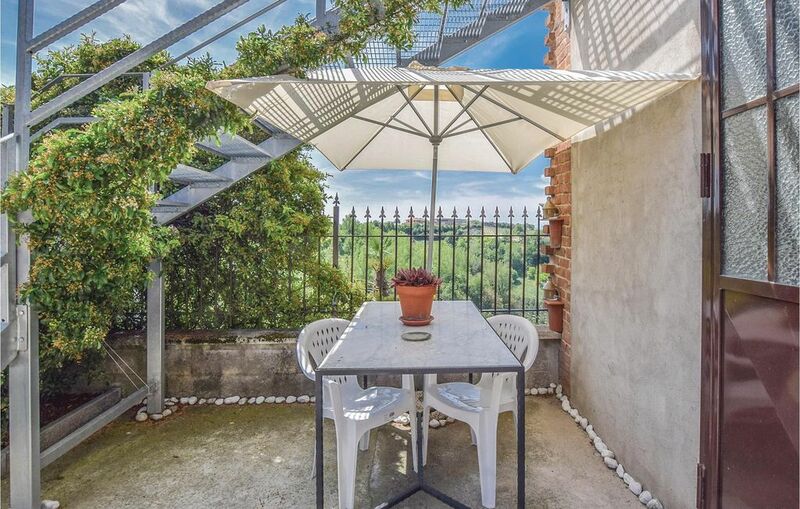 Holiday apartment located at Camerano, Monferrato. In the courtyard, in shared use: corner with table and chairs, with spectacular view over the surrounding hills and the Alps. Camerano is close to a Natural Protected Area stretching out on three valleys and offering various trails for hiking , biking and horseback riding. The Monferrato is a UNESCO heritage area, renowned for its landscape rich in castles and vineyards, with excellent wines and many delicacies. Themed activities during grape harvesting organized by local wine makers. Renowned Festivals in the area: the Palio of Asti, the Truffle fair in Moncalvo. IPL178 in the same house.